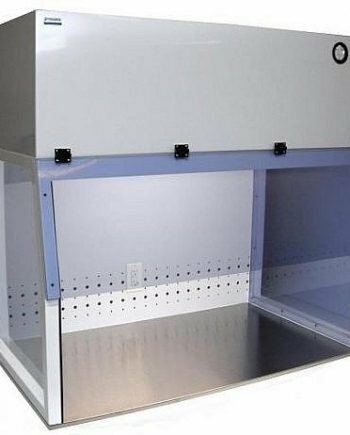 Vertically flow ISO5 clean bench is designed to protect the samples and materials in the hood from contamination by providing the work area with a laminar flow of air, free of particulate contamination. 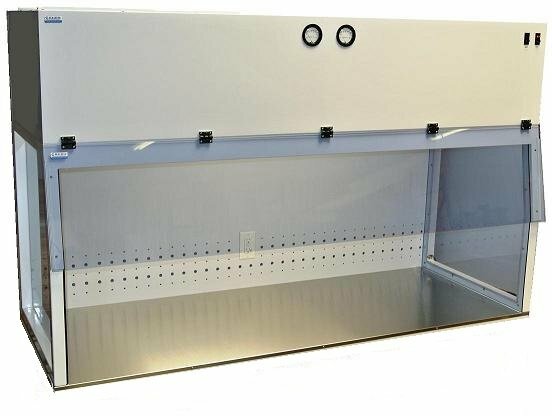 CleaBench™ laminar flow hoods offer a variety of options and accessories such as support stands, stainless steel worksurface, , power outlet, germicidal UV lamp, second hinged front face shield, IV bar, ionizing bar and static dissipative windows. Worksurface is optional, the clean bench can be ordered with bottom open frame so it can be placed on worktable. It can be purchased with worksurface and mobile base stand. Back Plenum provides air re-circulation reduces the percentage of dirty air passed through the filter, overall filter life is extended. The standard HEPA final filter is 99.99% efficient at particles 0.3 micron and larger the meet the requirement of ISO 5, class 100 cleanrooms. Optional ULPA filters, 99.999% at particles 0.12 micron, are also available. CleaBench™ Hoods are not included worksurface. Please order from the above table if required.